Chatbots offer a new way for brokerage firms to engage clients, creating well-informed buyers. Time is money, money talks and now, when it does, its voice is automated. Chatbots are not just for lazily skipping through songs on your favorite playlist anymore. Chatbots are not perfect, but they have come a long way from the annoying little paper clip in the corner of your Word doc. As a brokerage, it is not your job to discover the next stage of bot evolution, but to listen when it arrives. Chatbots are one of the most underutilized resources of the modern brokerage firm. This is not to say that brokerages have been ignoring the technology entirely. However, a chatbot left alone will rust. In order to use this technology to its fullest, bots require updating. As it stands, chatbots can provide support to banks and brokerage firms to answer customer questions or provide guidance. This guidance is not only valuable for the client, but also trackable in order to create more conversions, personalized sales approaches, and predict market sentiment. With an administration panel, a chatbot makes it possible to broadcast messages with a call to action to all users, or to a selected group of users, who for example were interested in trading Altcoins on specific terms. In addition, chatbots can gather information which is easily transferable in order to construct ideal landing pages for conversions. Chatbots have been an exceptionally cost-effective channel for brokers to reach, engage, increase retention rate, and convert their clients into actual buyers. Chatbots can handle customer complaints and provide responses to almost any question you’ll find in an FAQ. But, Chatbots can always — and must always — adapt and improve. Chatbots can provide support to banks and brokerage firms to answer customer questions or provide guidance. It is essential to always be on the look-out for new ways to advance our relationship with this technology and any successful brokerage knows the importance of successful relationships. What they may not yet know is that these relationships are no longer restricted to person-to-person. Fostering a relationship with a chatbot won’t lead to heartbreak. Unlike a neglectful lover, a chatbot will remember you forever, learn your needs, and learn patterns in your behavior to bring you the missing piece in your crucial moment of need. As a chatbot learns and grows, it will personalize itself to you. 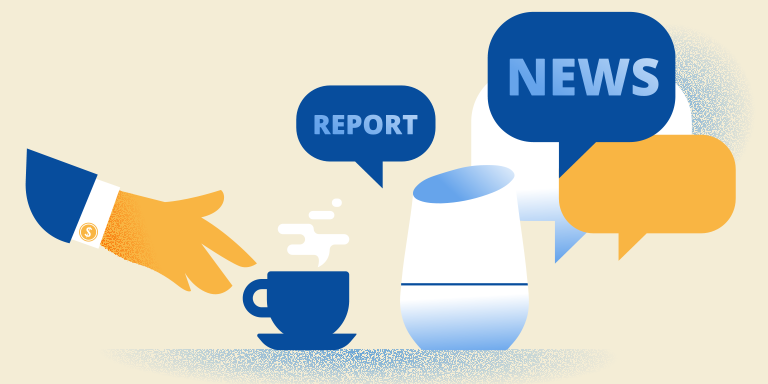 If something you’ve been interested in has become too volatile, a chatbot can inform you based on trends in your conversation, saving you time by providing you with the information you need at critical times. For example, you ask your chatbot to tell you the price of Bitcoin against the USD. Ten minutes later, you ask again. Three minutes after that, you ask a third time. Your chatbot knows you’re interested in Bitcoin. It gets it, you can stop now. Now, using the data gathered from your past conversations the chatbot can give you all of the information you need as well as retain the information from all users interested in Bitcoin. This allows the chatbot to not only know the market but also understand where it is going based on the sentiment of tens of thousands of traders around the world. You now have an automated, well informed financial advisor, so what is next? As a trader, one must balance numbers, headlines, social trends, and their own intuition on the edge of a golden knife. Markets are rapidly changing and decisions must be made with matching speed. Time is money, to the trader more than most. 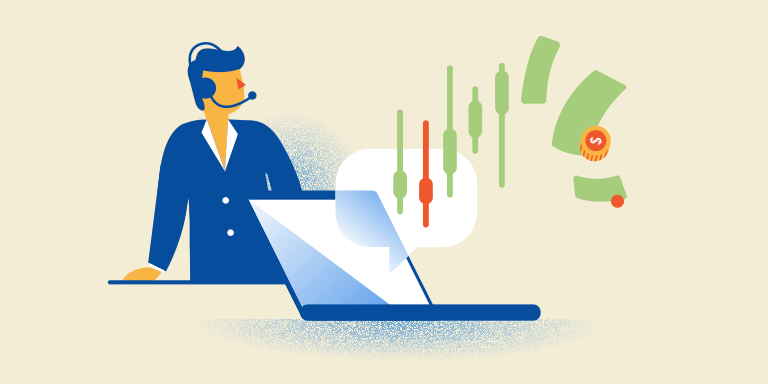 Imagine a brokerage where you are able to provide each trader with a personal assistant, powered by natural language processing (NLP) and voice user interfaces. An assistant that never forgets, has a calculus degree from MIT, and every market in the world whispering in their ear. The voice at the forefront of technology speaks in code. Now playing You Get What You Give by the New Radicals.